An amusing film following the travels of the iconic author of "Once Upon a Soul" (and many other works) on the thirtieth anniversary of its publication. 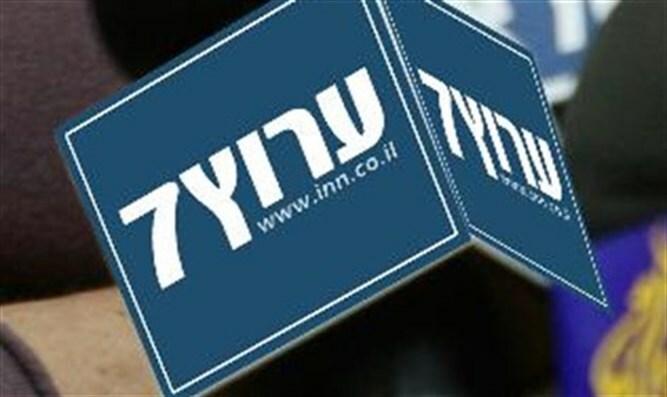 An Arutz Sheva exclusive debut. This week, thirty years ago, a book was released that would dramatically alter the face of Jewish popular literature and at the same time catapult the career of a young, aspiring author. We refer to the publication of "Once Upon a Soul" which took the English speaking Jewish world by storm. Never before had a book of contemporary, short stories about ordinary people who did extraordinary things, become a household name so quickly. The popularity of the book, which sold 8,000 copies in its initial weeks, significantly raised the bar of the type of literature the Torah world had been exposed to. Young and old were enchanted by the stories, resulting in the publication of the “Soul Series.” These three books: Once Upon a Soul, Soul Survivors, and ‘Souled!’ spawned a whole new genre of Jewish literature – true, contemporary stories that are a glorification of Divine Providence and a tribute to human benevolence. Numerous authors have since written in that style and even mimic the look of the books' distinctive covers. Yet the author, the aptly named Rabbi Hanoch Teller, was, and remains,what he was dubbed: the "King of the Story Tellers", who has already raised a generation plus on his books. Teller has also been labeled “The Shakespeare of the Yeshiva World” because of the florid language and riveting descriptions he presents. A burst of prolific activity (Hanoch Teller had written six books before he turned 30) simultaneously launched a speaking career across the world. Rabbi Teller was also dubbed “A Globe-Trotting Modern-Day Maggid,” accruing for himself more miles than any other religious speaker. To this day, no other speaker travels as often or reaches as many communities (refer to his website: www.hanochteller.com where you can see more serious ventures, such as his film of Rabbi Elimelech of Lidjansk and interviews on Jewish issues). To celebrate this thirty-year milestone – and aptly timed for Purim – Rabbi Teller has created a hilarious – as in really funny – video clip about his books all over the world. For the last half year a video camera has been following him around and if you wish to see the most outrageously incongruous group of readers on this planet, this video clip, which Arutz 7 is exclusively debuting, is a must, Must See!